Andy's Locksmith - Have you suddenly realized you’re locked out? Whether you’re without your keys and stranded from your car, your home, or your commercial property, you don’t need to worry! Have you suddenly realized you’re locked out? Whether you’re without your keys and stranded from your car, your home, or your commercial property, you don’t need to worry! "Have you suddenly realized you’re locked out? Whether you’re without your keys and stranded from your car, your home, or your commercial property, you don’t need to worry, because the expert mobile staff Gainesville locksmiths of Andy’s Locksmith are ready to help, right now! JUST CALL US and we’ll be there immediately! Whenever you need a top locksmith in Gainesville, Georgia, we’re always here to respond 24/7! Andy’s Locksmith offers every locksmith solution possible, such as making & duplicating keys, changing locks, lock installations, lock repairs, panic bars, emergency/fire devices, deadbolts, safes for business & home, magnetic locks, broken & stuck key extracting, keyless remotes, & much more! If your locksmith requirements are residential, we handle bump-proof locks, intercom system installation, mailbox locks, garage locks, peepholes, & more! Is your locksmith need automotive? We’ll easily open the trunk, duplicate your lost car keys, unjam the glove box, make smart keys, get you a new ignition cylinder, & more! Seeking commercial locksmith services? We install new desk & filing cabinet keys, video surveillance systems, handle access control, master key sets, & more! When you must locate a good locksmith, Andy’s Locksmith is number one in town! When it comes to obtaining a skilled locksmith in Gainesville GA, Andy’s Locksmith is your best bet! All Andy’s Locksmith’s staff mobile locksmith technicians are local, background-checked, insured, certified, licensed, and bonded. When you need an outstanding affordable locksmith, Andy’s Locksmith is clearly the better choice! 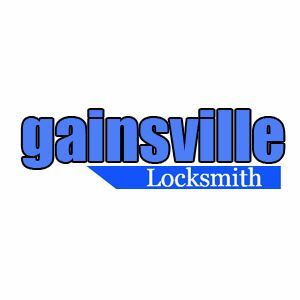 Our Gainesville locksmiths will be dispatched to your Gainesville location immediately! We do all our work with the finest brands, including Ace, Baldwin, Falcon, Ilco, Kaba, Mul-T-Lock, Primus, Schlage, Yale, & more!" "If you need a superior locksmith in McDonough, Georgia, you’ve come to the right place. The experienced staff of mobile locksmith professionals here at McDonough Secure Locksmith." "The next time you’re in need of a locksmith, you can count on the team of experts at Locksmith Morrow GA. We have assembled the best and most qualified locksmiths in the area." You don’t have to spend sleepless nights thinking about your office, your house or your car, even though the locks on your property are a serious concern.